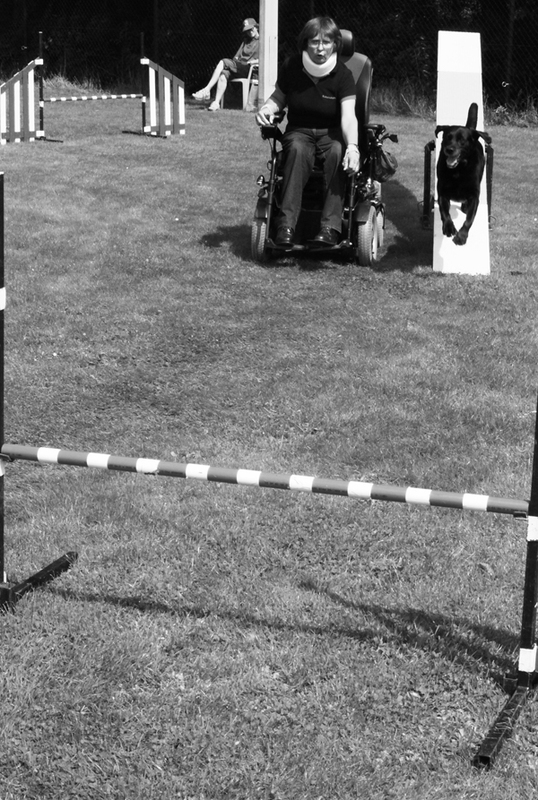 For Joep his last agility-match before we will depart to Switzerland to take part into the 9th ParAgility World Cup, so a very nice training! 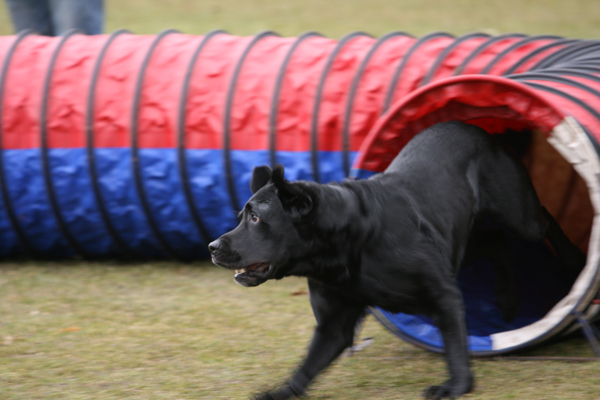 Even the game as agility-courses were clear rounds, it's results to an 6th and 9th place of 64 competitors. The game-run gives him a little cup! 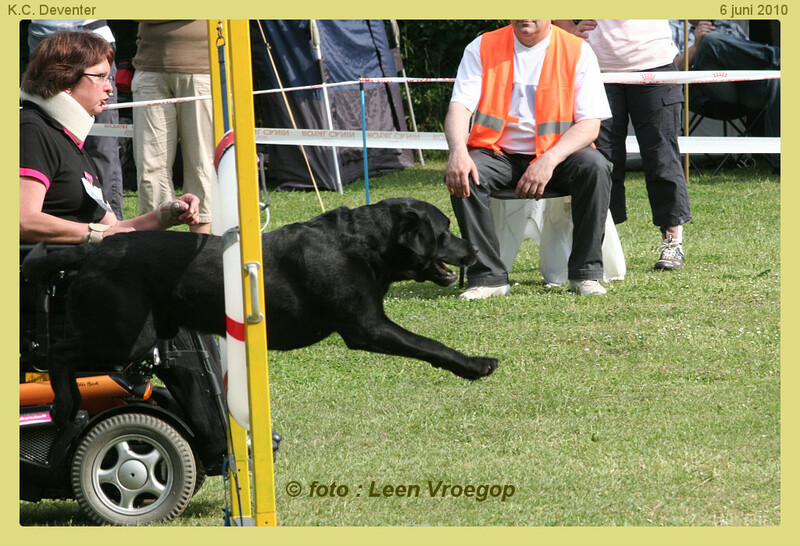 for Quita literal and figurative the FINISH of the Dutch Competition Agility! I had entry with both dogs, Quita the Veteran-classe, Joep the A-classe. Joep had only run the jumping, one of the three courses, because his injury of last week I didn't want to take any risk. 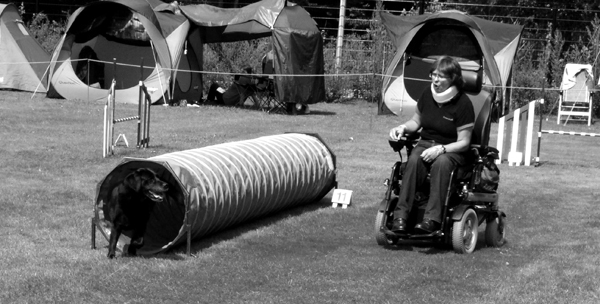 For Quita her last agility-match of the Dutch Competition Agility of Cynophilia. 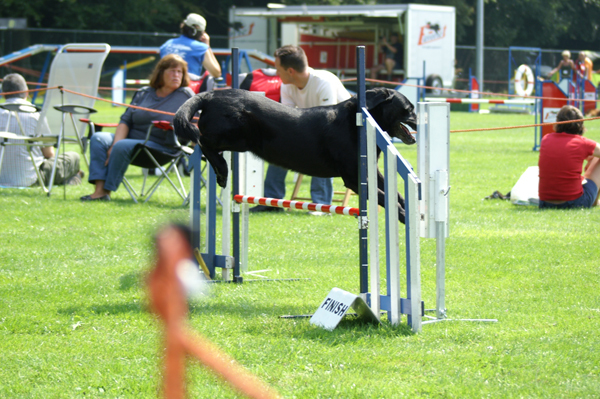 She had run the agility-course and even the jumping very nice, so a good closing of her agility- carreer in the Netherlands. She will take part into the PAWC in Zwitserland 2 untill 5 September! For Joy her first acquaintance with an agility-match. 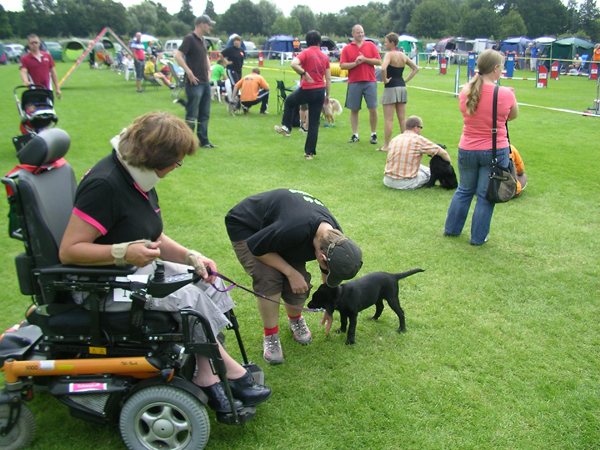 I had entry with my two dogs, but both dogs were a little injured, so I had decided to cancel. 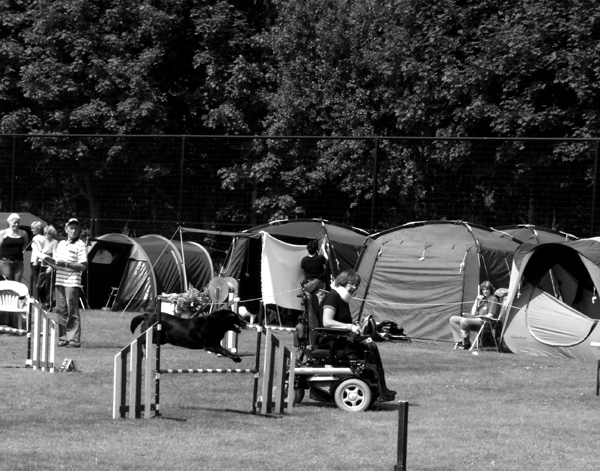 The hole weekend agility-matches on the dogshool HSVA. 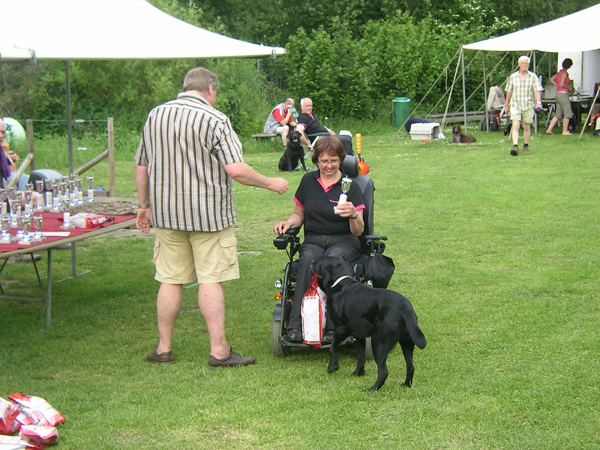 On saterday I was working as volunteer (writer of the judje) and on sunday I have taken part with my two dogs. The weather was very hot, but even Quita as Joep have run good! Dutch Competition agilitymatch for Joep into the A-classe and for Quita into the Veteran-classe. 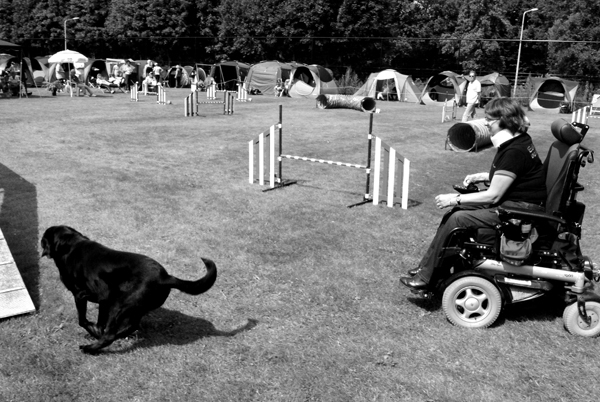 Both dogs have run very nice and for Quita a second place on the agility-course. At the end of the day a cup for her! 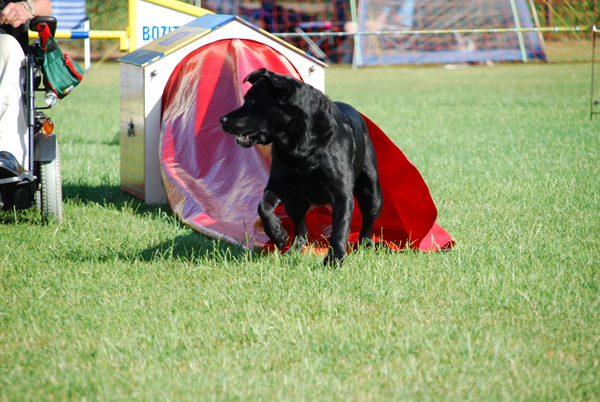 As well as the agility course and jumping he had run very good. Mutually agilitymatch on dogshool HSVA in Amersfoort for Joep. To run 3 agility-courses and 2 jumpings. For Joep in Totall Results second place! Last selection agilitymatch for the IMCA team of the Netherlands! Very exciting because some competitors are sure about a place in the Team, but others have to fight for it on this last selectionmatch! Quita was running two very nice clear rounds, but one had given a disqualification because I had taken the wrong way in the course! Training/ benefit-performance agilitymatch for the IMCA-Team of the Netherlands on the D.I.T. Hal in Bergen op Zoom. Quita had run a very nice clear agility course with give her the 6th place of 17 competitors. She enjoyed very much but she´s not so fast anymore! Joep´s jumping was very good and give him the second place of 21 competitors....a prize to take home! Benefit-agilitymatch for the Dutch Team who will take part into the World Championship for Belgian Shepherds, being held from 19 untill 23 May in Cottbus, Germany. 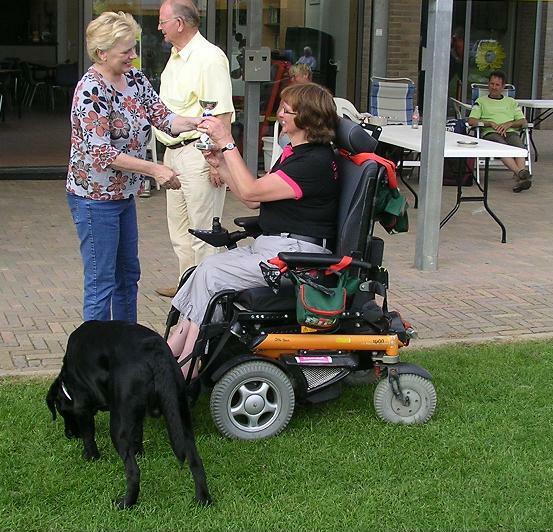 This indoor-match was organised in the Dog In Touch Hal in Bergen op Zoom. It was a team-competiton and I have taken part with both my dogs. My oldest one Quita was running into the Veteran classe and Joep into the 2th/3th level, because Quita was also running this level! Difficult courses with a lot of disqualifications! Quita have run 1x jumping with one fault on the weaves, 1x jumping clear round, also the agility-course a clear round but some seconds more then SCT. Joep have run his first jumping without disqualificatie, but because he need more then MCT (only 1 second) for him also a disqualification. Even on the second jumping and agility-course for him disqualification. Notwithstanding we are finished on the 22th place of total 40 teams.